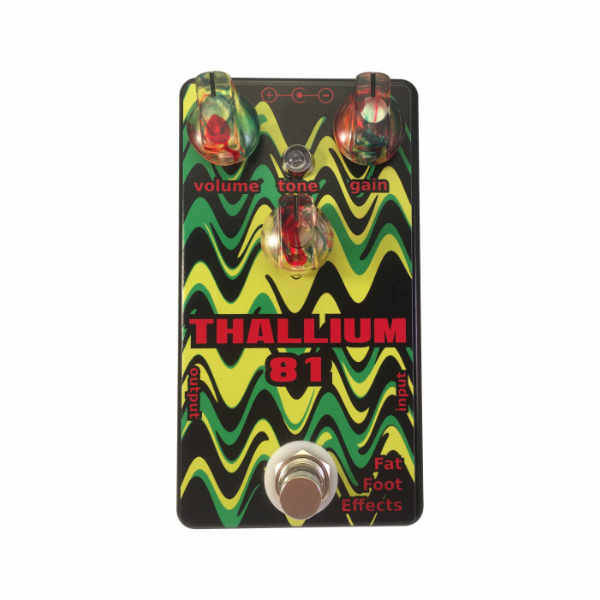 The Thallium 81 is a hard clipping distortion pedal. 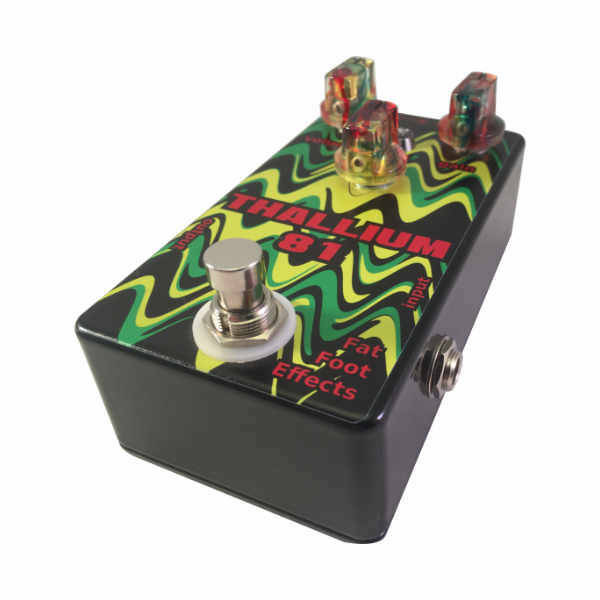 The goal of the pedal design was to create a hard clipper that would retain the character of the guitar and amp combo but adds a little spice to the chain. Versatility was also important, the more you can do with a tool the more useful it is. What we didn’t want to do was make it an option overload tool either, simple and straight-forward controls for ease of use. The gain control adjusts the gain of the amplifier circuit in the pedal. It will sweep from broken up boost to hard pushed amp. The tone control blends a high pass and a low pass filter. It was designed to be pretty flat at noon (just a slight bump at about 400 hz). Clockwise rotation will pivot the filter on that 400 hz and cut off the high end. Counter clockwise will cut off the low end. The cut at max will be 20 dB. This give a subtle but mostly transparent tone control. True Bypass, handmade in the USA, Elkhart, Indiana to be exact.